"1986 World Cup" redirects here. For other uses, see 1986 World Cup (disambiguation). The 1986 FIFA World Cup, the 13th FIFA World Cup, was held in Mexico from 31 May to 29 June 1986. The tournament was the second to feature a 24-team format. With European nations not allowed to host after the previous World Cup in Spain, Colombia had been originally chosen to host the competition by FIFA but, largely due to economic reasons, was not able to do so and officially resigned in 1982. Mexico was selected as the new host in May 1983, thus becoming the first country to host the World Cup more than once. This was the third FIFA World Cup tournament in succession that was hosted by a Spanish-speaking country, after Argentina 1978, and Spain 1982. It was won by Argentina (their second title, after winning in 1978). Argentina was captained by the 25-year old Diego Maradona, who played a large part in his team's success. Maradona scored the "Hand of God" goal, as well as another voted "Goal of the Century", in the same quarter-final against England. These were two of the five goals that Maradona scored during the tournament, and he also created another five for his teammates. Argentina beat West Germany 3–2 in the final at Mexico City's Estadio Azteca. Total attendance was 2,394,031, an average per match of 46,039.Canada, Denmark and Iraq made their first appearances at the final stage. The format of the competition changed from 1982. The final pair of matches in each group started at the same time and the second round was played on a knock-out basis rather than groups. The 24 teams qualified were divided into six groups of four (A to F). The top two teams and the four best third-place finishers from the six groups advanced to the knockout round of 16 teams. Italy were the defending champions, but were eliminated by France in the Round of 16. The 1986 World Cup saw the appearance of an audience phenomenon dubbed the Mexican wave, which was popularised worldwide after featuring during the tournament. Colombia was originally chosen as hosts by FIFA in June 1974. However, the Colombian authorities eventually declared on 5 November 1982 that they could not afford to host the World Cup under the terms that FIFA demanded because of economic concerns. Mexico was selected on 20 May 1983 as the replacement hosts, beating the bids of Canada and the United States (who eventually hosted the 1994 World Cup), and thereby became the first nation to host two World Cups. This second World Cup in Mexico came 16 years after the first one in 1970. A severe earthquake in September 1985, eight months before the tournament, cast doubt over Mexico's ability to organize the event, but the stadia were not affected and it was decided to go ahead with the preparations. As 1986 had been declared the International Year of Peace by the United Nations, the advertising boards of all the stadia displayed the FIFA and United Nations logos along with the legend "Football for Peace – Peace Year". For the design of the logo an unofficial motto was adopted: "El Mundo Unido por Un Balón" ("The World United by a Ball"). The official mascot of the 1986 World Cup was Pique, a jalapeño pepper, characteristic of Mexican cuisine, with a moustache, a Colimote sombrero, and Mexican football team colours. Its name comes from picante, Spanish for spicy, and was also a pun on the "PK" abbreviation of the football term penalty kick. The character caused a degree of controversy within Mexico for its ethnic stereotypes. Three teams qualified for the World Cup for the first time: Canada, Denmark and Iraq. Canada clinched its spot after winning the final match against Honduras 2–1 in St. John's, Newfoundland. Iraq played all their home matches on neutral ground because of the Iran–Iraq War. South Korea qualified for the first time since 1954, Paraguay for the first time since 1958, Portugal for the first time since 1966 and Bulgaria and Uruguay for the first time since 1974. As of 2018[update], this was the last time that Hungary, Canada, Iraq and Northern Ireland qualified for the finals. In addition, this was the last time that the United States did not qualify for the finals until the 2018 tournament. Eleven cities hosted the tournament. The Azteca Stadium in Mexico City, the largest stadium used for the tournament, hosted nine matches (including the final), more than any other stadium used. 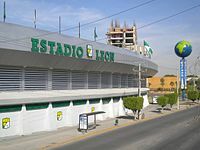 Mexico City hosted 13 total matches; the Olimpico Universitario Stadium hosted four matches (if the Mexico City suburban town Nezahualcoyotl's 3 matches are included, this brings the total up to 16 matches; nearly a third of all matches in this tournament). Guadalajara, Mexico's second largest city hosted 10 total matches (the Jalisco Stadium hosted seven matches, the Tres de Marzo Stadium in Zapopan hosted three), Monterrey hosted 8 matches (The Tecnologico Stadium and the Universitario Stadium in San Nicolas de los Garza hosted four matches each), and the Cuauhtémoc Stadium in Puebla hosted 5 matches. The hot, humid and rainy summer weather in Mexico varied from humid desert locations like Monterrey to tropical locations such as Guadalajara; but perhaps the greatest hardship the players had to contend with was the high altitude of the Mexican locations. With the exception of the 93-104 °F (34-40 °C) temperatures of Monterrey (still 2,000 feet above sea level), all of the stadia were located in cities that varied anywhere from Guadalajara being 5,138 feet (1,566 m) above sea level to Toluca being 8,730 feet (2,660 m) above sea level, making conditions very difficult for the players running around in these stadia- but the higher the cities, the less intense the heat. Mexico City, the location of the final match and the location where the most matches were played was 7,380 feet (2,250 m) above sea level and the weather there was not as hot as in other cities used in this World Cup. 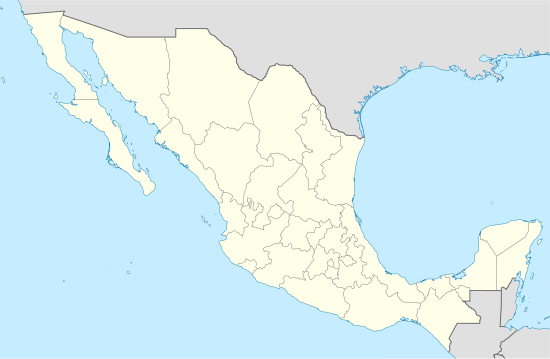 All of these venues except Monterrey were located in central Mexico, as this tournament was organized with the then-standard way of keeping teams playing in locations in close proximity to each other. Group A only played at the Olimpico and in Puebla (except for the Bulgaria-Italy opening tournament match, which was played in the Azteca), Group B only played at the Azteca and in Toluca (hosts Mexico were part of this group; they played all their group stage matches at the Azteca), Group C played in León and Irapuato, Group D only played in Guadalajara (including the Guadalajara area town of Zapopan; the last match of this group was played in Monterrey), Group E exclusively played in Querétaro and Nezahualcóyotl, and Group F played in the northern city of Monterrey (including the Monterrey area town of San Nicolas de los Garza; the last match of this group was played in Guadalajara). All of the venues listed hosted knockout round matches except the ones in Nezahualcoyotl, Irapuato, Zapopan, Toluca and the Estadio Tecnologico in Monterrey. Morocco and Portugal played in Guadalajara while Spain and Algeria played in Monterrey. For a list of all squads that appeared in the final tournament, see 1986 FIFA World Cup squads. The first round of the finals began in Group A, where Italy were held 1–1 by Bulgaria. Meanwhile, Argentina beat South Korea 3–1, with Diego Maradona playing a major part. Italy and Argentina drew 1–1, Maradona and Alessandro Altobelli scoring. South Korea and Bulgaria also drew 1–1 in a downpour. The final set of matches saw Argentina beating Bulgaria 2–0, and Italy narrowly defeating South Korea 3–2. In Group B Mexico beat Belgium 2–1, and despite being held 1–1 by Paraguay, they won the group after a further win over Iraq, 1–0. Paraguay and Belgium also progressed after both beating Iraq and drawing with each other. Group C pitted a strong Soviet Union side against the reigning European champions France. They drew with each other 1–1, with a goal scored by Vasyl Rats. France beat Canada 1–0 and finished in 2nd place in the group after beating Hungary, 3–0. Hungary had earlier lost 6–0 against the Soviet Union, which won the group due to goal difference. Group D saw Brazil start against Spain, winning 1–0 after the referee failed to validate a legal goal scored by Míchel. Northern Ireland began their campaign with a draw against Algeria. Northern Ireland were then narrowly beaten by Spain before losing to Brazil 3–0 in their final match. This match saw a goal from Josimar on his debut and was also the final time Pat Jennings played for Northern Ireland. Spain qualified along with Brazil after defeating Algeria 3–0. Denmark stormed through Group E, dubbed the group of death, with a 100 per cent record. They beat Scotland 1–0 in their first game, then hammered Uruguay 6–1, with Preben Elkjær Larsen hitting a hat-trick. Denmark beat one of the favourites to win the tournament, West Germany, 2–0 thanks to a Jesper Olsen penalty and a goal from John Eriksen. After losing to Denmark, Scotland took the lead against West Germany thanks to a Gordon Strachan goal, but the West Germans fought back to win 2–1. After a violent 0–0 draw against Uruguay, the Scots were eliminated from the tournament. During that game José Batista of Uruguay was sent off after less than one minute of play for a foul on Strachan, a World Cup record that still stands. West Germany went through to the second round despite a loss against Denmark. Morocco topped Group F after holding both Poland and England to goalless draws, and beating Portugal 3–1. By doing so, they became the first African team, and only the second nation from outside Europe and the Americas (after North Korea in 1966), to reach the second round. England lost 1–0 to Portugal, followed by a 0–0 draw against Morocco in which they lost captain Bryan Robson to injury (for the remainder of the tournament) and vice-captain Ray Wilkins to a red card (he was never to be selected for England again, even after having served his obligatory one-match ban). In their last first-round game, with the captaincy taken over by Peter Shilton in goal, a first-half Gary Lineker hat-trick helped the reshaped side beat Poland 3–0 – although losing yet another player to a ban for the next round, Terry Fenwick receiving his second booking of the tournament. Poland had previously beaten Portugal, and in the end the Portuguese were the only team from Group F to be eliminated in the first round. Portugal, making their first appearance in 20 years, went on strike (in the Saltillo Affair) during the competition. Players refused to train between their first and second games (against England and Poland) and were eliminated after a loss to Morocco in the final group match. Belgium beat the Soviet Union 4–3, despite a hat-trick by the Soviets' Igor Belanov. The game was level at 2–2 after 90 minutes, and in extra time Stephane Demol and Nico Claesen put Belgium 4–2 up. Belanov scored from the penalty spot with nine minutes remaining, but neither he nor any of his teammates could find a fourth goal for the Soviet Union. At the Olympic University Stadium in Mexico City, the European champions France ended Italy's reign as world champions with a 2–0 victory thanks to goals from Michel Platini and Yannick Stopyra. In the rematch of the 1930 FIFA World Cup Final, Argentina just edged out South American champions Uruguay in Puebla thanks to a 42nd-minute strike from Pedro Pasculli. The all-South American affair had a Diego Maradona's goal disallowed. In Querétaro, Denmark were eliminated as they went from a 1–0 lead to a 5–1 battering against Spain; key player Frank Arnesen was suspended for the game after being sent off against West Germany in their last group match, for taking a swipe at German playmaker Lothar Matthäus. The Danes scored first, with a Jesper Olsen penalty, but they were then taken apart by a devastating performance from Butragueño of Spain, who scored four of his team's five goals. At the Azteca Stadium in Mexico City, England progressed to the quarter-finals comfortably when they saw off Paraguay 3–0, while Brazil brushed aside Poland 4–0. West Germany had a much harder time getting past Morocco, for whom goalkeeper Badou Zaki had an outstanding game. Morocco held out until the 87th minute, when Lothar Matthäus scored the only goal of the match with a free kick. Mexico won 2–0 against Bulgaria with an outstanding scissor-kick goal by Manuel Negrete which is honored by a remembrance plaque at the Azteca. In the quarter-finals, France faced three-time world champion Brazil in Guadalajara. Brazil were well on top in the early stages, and Careca put them one up after 18 minutes. Five minutes before half-time, France drew level when Michel Platini scored his 41st goal after converting a cross from Dominique Rocheteau. Brazil had a chance to regain the lead in the second half when Branco was fouled by French keeper Joël Bats in the penalty area. Zico got up to take the kick, but Bats saved Zico's penalty. The match went to extra time, and France finished slightly the stronger of the two sides. No more goals were scored, and so it was time for a penalty shoot-out. Socrates, who had earlier missed an open goal and headed an easy chance straight into the French keeper's arms, failed with the first kick for Brazil. The next six penalties were all converted, and then Platini fired over the bar. Brazil were back on level terms – but not for long. Julio Cesar struck the post with his penalty, and Luis Fernández then scored to put France through 4–3 on penalties. Two other quarter-finals were also decided on penalties. Jan Ceulemans put Belgium ahead against Spain in the 35th minute, but Spanish substitute Señor equalised with five minutes to go. No more goals were scored in extra time, and Belgium won the shoot-out 5–4. West Germany and Mexico drew 0–0 after extra time, and the West Germans eliminated the hosts 4–1 on penalties. As a curiosity, the German goalkeeper Harald Schumacher jumped to the right in the three Mexican penalties (stopping two of them). The quarter-final between Argentina and England at the Azteca featured two very different goals in the second half by Diego Maradona: the first was scored illegally, as he punched the ball into the goal past England goalkeeper Peter Shilton. The referee did not see the handball and the goal was given as valid. After the game, Maradona claimed the goal was scored "A bit with the head of Maradona and another bit with the hand of God"; it became known as the "Hand of God" goal. For his second goal, voted "Goal of the Century" in 2002 on the FIFA website, Maradona dribbled half the length of the field past five English players before scoring. With 20 minutes to go, the introduction of John Barnes as a substitute changed the tide of play in England's favour, as he pinged cross after cross into the Argentine penalty area: with 9 minutes to go, Lineker got on the end of one and scored, then almost repeated the dose six minutes later but was just unable to reach the ball thanks to a timely block by Olarticoechea: 2–1 to Argentina was the final score. In Argentina, the game was seen as revenge for the Falklands War. In the first semi-final match, Andreas Brehme put West Germany 1–0 ahead against France in the ninth minute in Guadalajara, but the outcome remained in doubt until two minutes from time when Rudi Völler made it 2–0, and West Germany were in the final for the second World Cup in succession. In the second semi-final match, Maradona struck twice in the second half as Argentina beat Belgium 2–0 at the Azteca. France went on to defeat Belgium in the third-place match, 4–2. So it was to be the South American Argentina vs the European West Germany at the final at the Azteca, the second time this massive stadium would host a World Cup Final (the first in 1970). Jose Brown put Argentina one up midway through the first half of the final, and when Jorge Valdano scored a second for the South Americans in the 55th minute, Argentina looked to be strolling to victory. West Germany then staged a spirited comeback. Karl-Heinz Rummenigge pulled one back in the 74th minute, and six minutes later Rudi Völler hit the equaliser. With seven minutes remaining, a pass from Maradona gave Jorge Burruchaga the chance to score the winner for Argentina. Eight years on from their home triumph, Argentina regained the world title and 30 million people in Argentina celebrated in the streets after the final victory. Maradona was the Golden Ball winner as the best player of the tournament, while Gary Lineker of England won the Golden Boot as the leading scorer of the World Cup with six goals. South Korea made their first appearance since 1954. They managed to score their first goal (against Argentina) and their first draw (against Bulgaria). Belgium finished in 4th place, their best finish in the World Cup until 2018, where they finished third. Argentina beat West Germany for the first time and won their second World Cup. Gary Lineker received the Golden Boot for scoring six goals. In total, 132 goals were scored by 82 players, with two of them credited as own goals. ^ "1986 FIFA World Cup Mexico – Overview". FIFA.com. Fédération Internationale de Football Association. Retrieved 11 March 2013. ^ "1986 FIFA World Cup Mexico". FIFA.com. Fédération Internationale de Football Association. Retrieved 15 June 2014. ^ "The Game that Changed the World Cup — Algeria". algeria.com. Retrieved 15 September 2009. ^ "Who invented the Mexican Wave?". BBC. Retrieved 12 September 2018. ^ Jackson, Andy (11 June 2010). "...Fan Crazes". FourFourTwo (Australia). Archived from the original on 10 November 2013. Retrieved 25 August 2011. ^ Rice, Simon (10 June 2010). "The 100 greatest World Cup moments. # 94. The Mexican Wave". The Independent. Retrieved 25 August 2011. ^ Pougatch, Mark (11 January 2011). Three Lions Versus the World: England's World Cup Stories from the Men Who Were There. Mainstream Publishing. p. 175. ISBN 978-1-907195-59-4. ^ Snyder, John (1 September 2001). Soccer's Most Wanted™: The Top 10 Book of Clumsy Keepers, Clever Crosses, and Outlandish Oddities. Potomac Books, Inc. p. 247. ISBN 978-1-57488-365-7. ^ "1986 FIFA World Cup Mexico – Awards". FIFA.com. Fédération Internationale de Football Association. Archived from the original on 10 December 2013. Retrieved 11 March 2013. ^ "HUNGARY – CANADA". Planet World Cup. Retrieved 19 December 2011. ^ "DENMARK – WEST GERMANY". Planet World Cup. Retrieved 15 June 2014. ^ "ENGLAND – MOROCCO". Planet World Cup. Retrieved 15 June 2014. ^ a b "WEST GERMANY – MEXICO". Planet World Cup. Retrieved 15 June 2014. ^ "IRAQ – BELGIUM". Planet World Cup. Retrieved 15 June 2014. ^ "SCOTLAND – URUGUAY". Planet World Cup. Retrieved 15 June 2014. ^ "DENMARK – URUGUAY". Planet World Cup. Retrieved 15 June 2014. Wikimedia Commons has media related to FIFA World Cup 1986.